Summer is here and the along with it came the beautiful heat I've been waiting for, for months. Even being eight months pregnant, I for one will try my hardest not to complain about the weather after the horrible Winter we had. Instead I'm taking the time to make and enjoy nice and refreshing Summer drinks for myself and my kiddos to enjoy. That's why this week's Thirsty Thursday is Mango Lemonade. I unique twist on your classic lemonade. 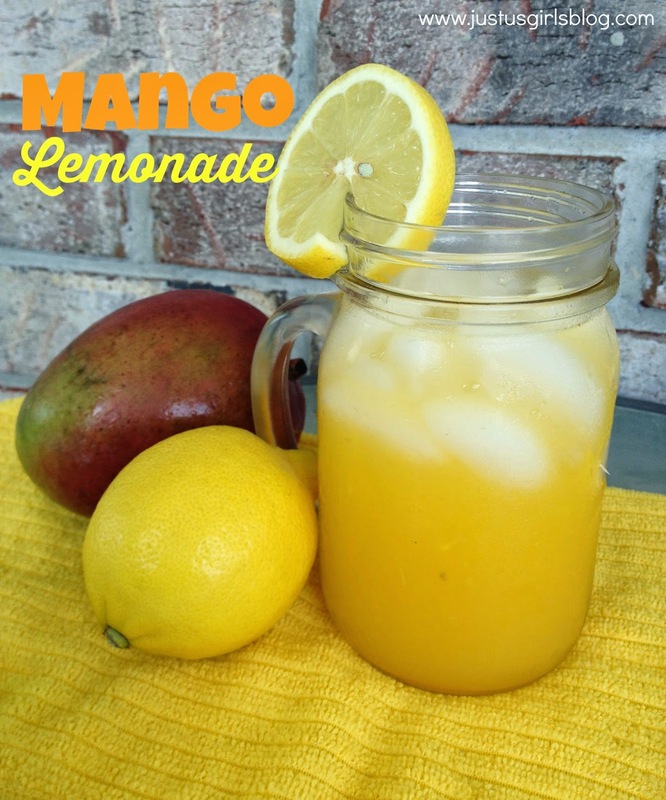 I've made a couple different lemonades and shared them on the blog and although the Watermelon Lemonade is one of my favorites, I have to say, this Mango is climbing its way up to the top. I love the combination of both the mango and lemon, it's different, but delicious. I love that you can mix pretty much any fruit with lemonade and it comes out tasting great. What is your favorite twist on lemonade? In a pot add in sugar and 1/2 cup of water to create a simple syrup mixture. Peel and cut mango and puree it in food processor. Add to pitcher. Add in lemon juice, simple syrup and the remaining of the water and stir. Keep in fridge until serving and serve over ice.